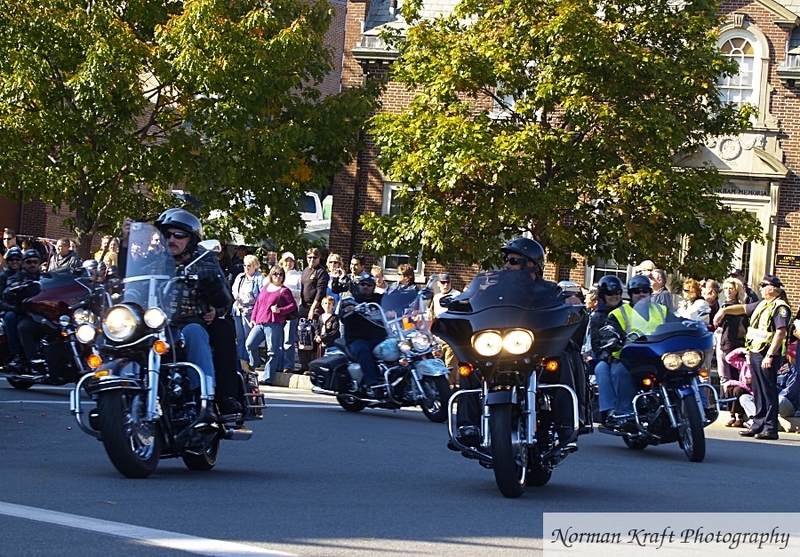 Each year there is a MDA Motorcycle Rally in Massachusetts that ends in Salem. 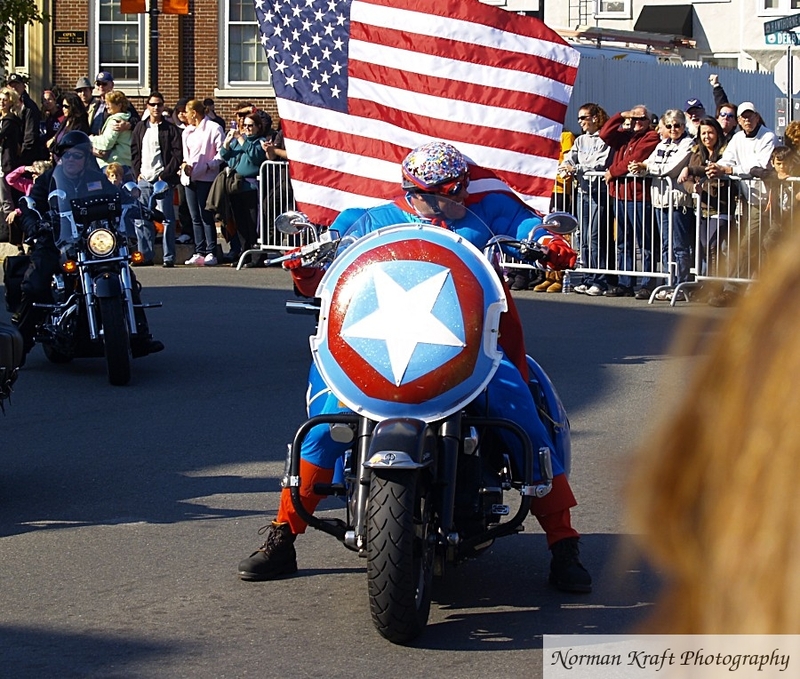 Riders from all over New England participate, many in costume. 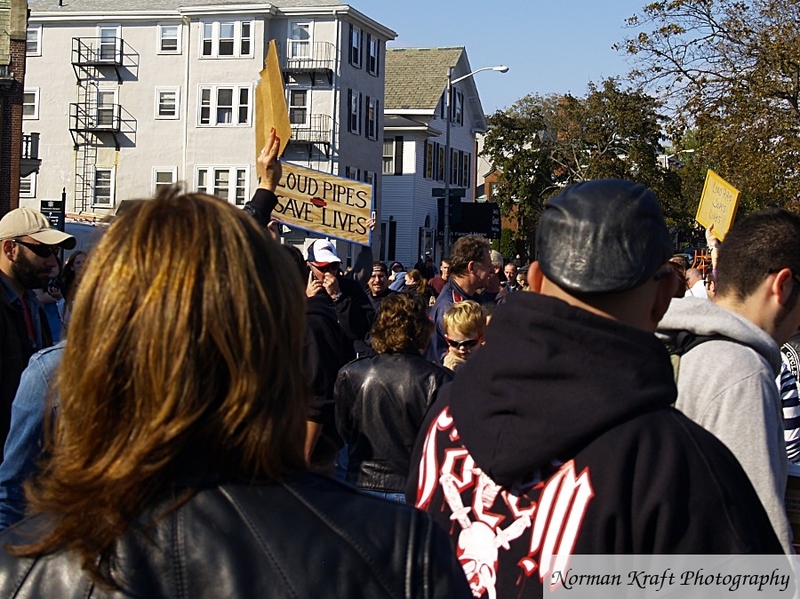 This 2010 rally included the usual thundering, street vibrating gathering of motorcycles large and small and also featured a protest. 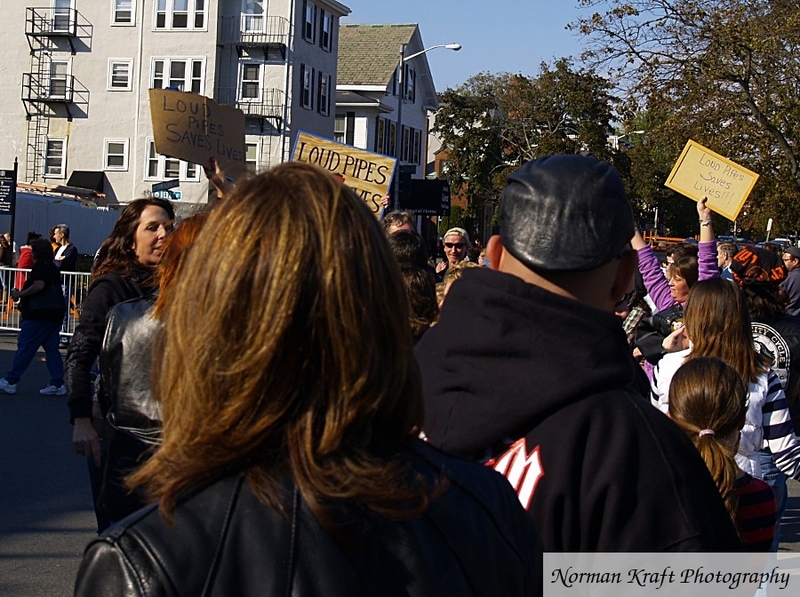 Near the end of the ride, a group appeared with signs protesting the loud noise made by some bikes. 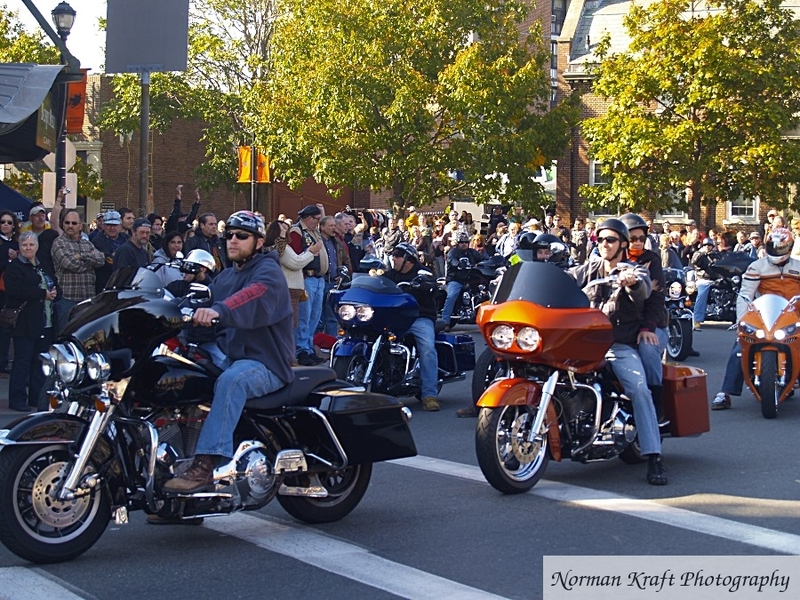 Bikers maintain that loud pipes make sure oblivious car drivers know they share the same road, but protesters complain that the decibel levels of big bikes with straight pipes is loud enough to damage hearing. 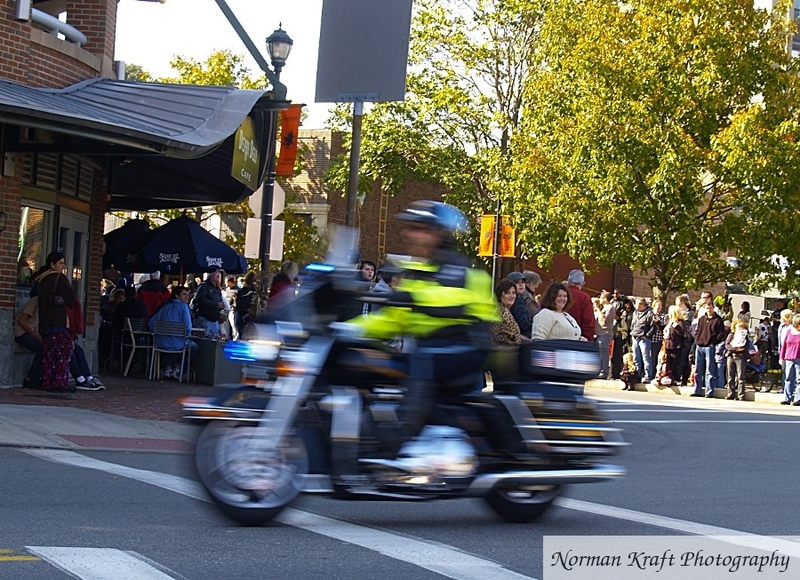 What works on the highways may not work on the streets of a small town. 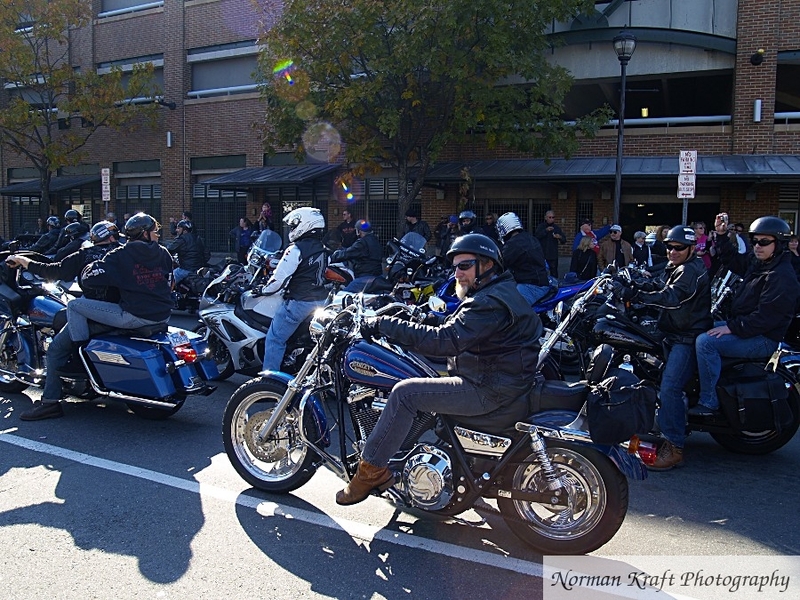 Bikers gather near the end of the ride. From here, it’s food, drink and fun well into the night. Bikers pass by on the last turn of the ride. 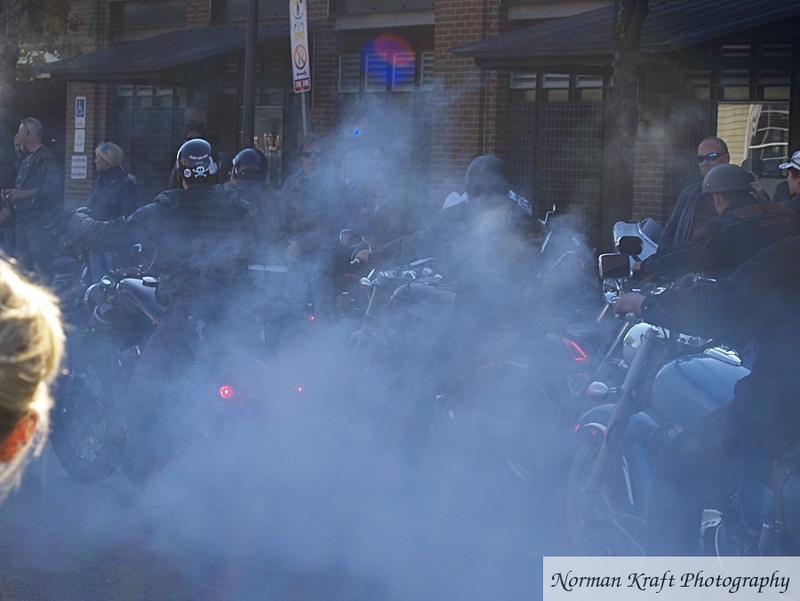 A charity biker burns some rubber. 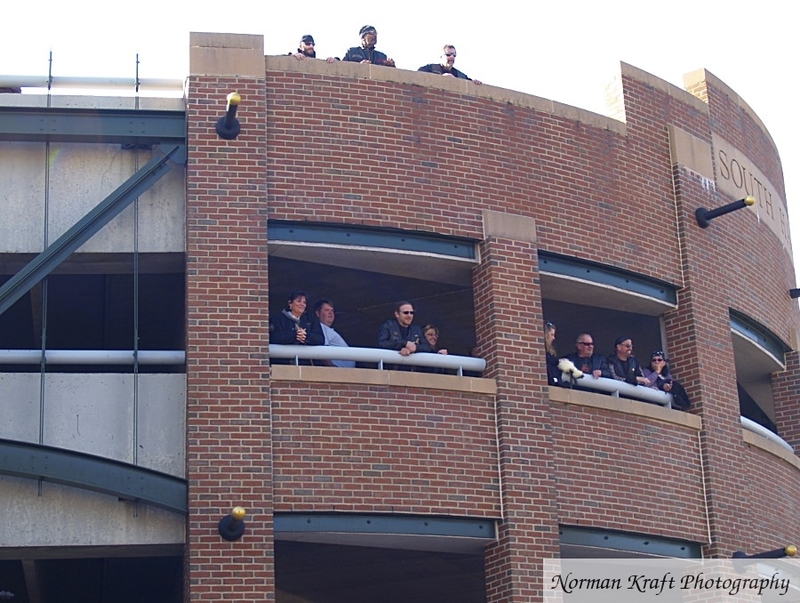 Bikers on the ground, bikers on the balconies, doing verbal battle with the protesters below. 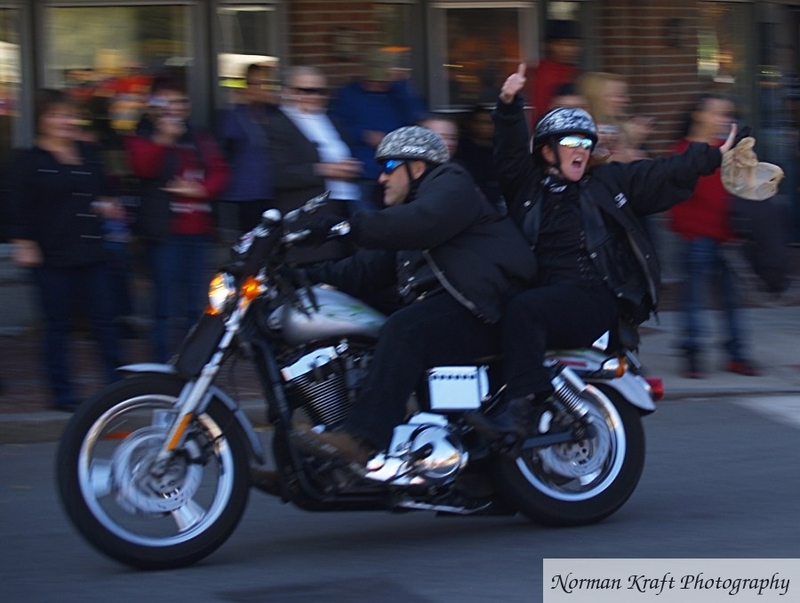 With gestures and words, charity ride bikers did battle with the protesters. 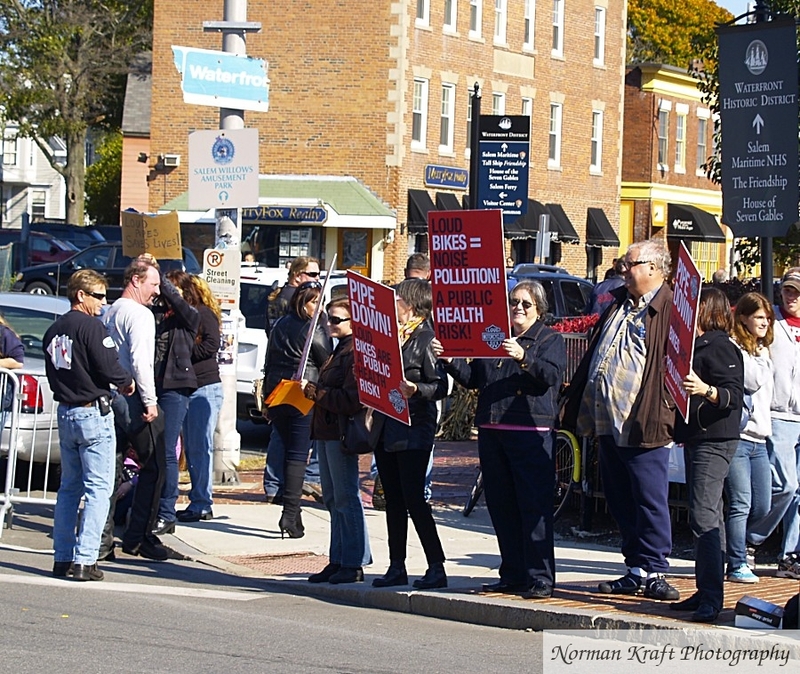 Counter-protesters at the charity ride for MD in Salem. 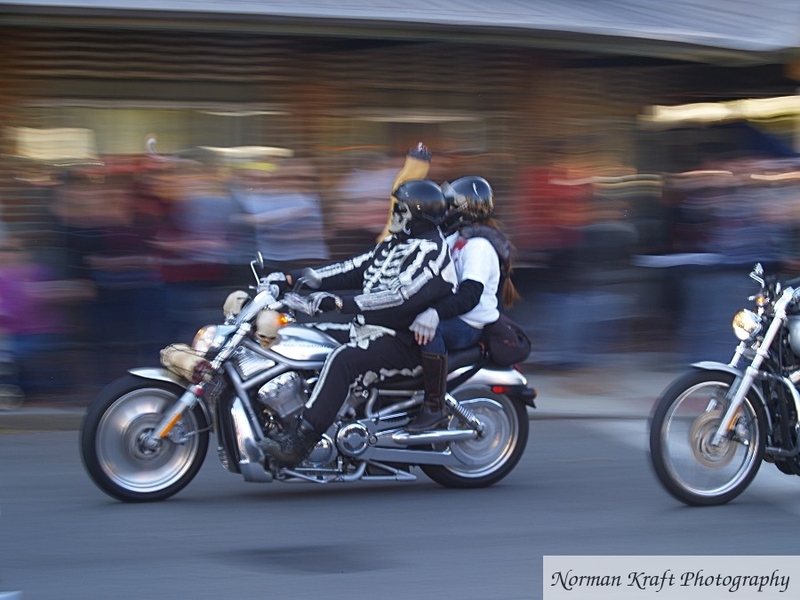 I full skeleton and skulls array, bikers sped past spectators on the charity ride. 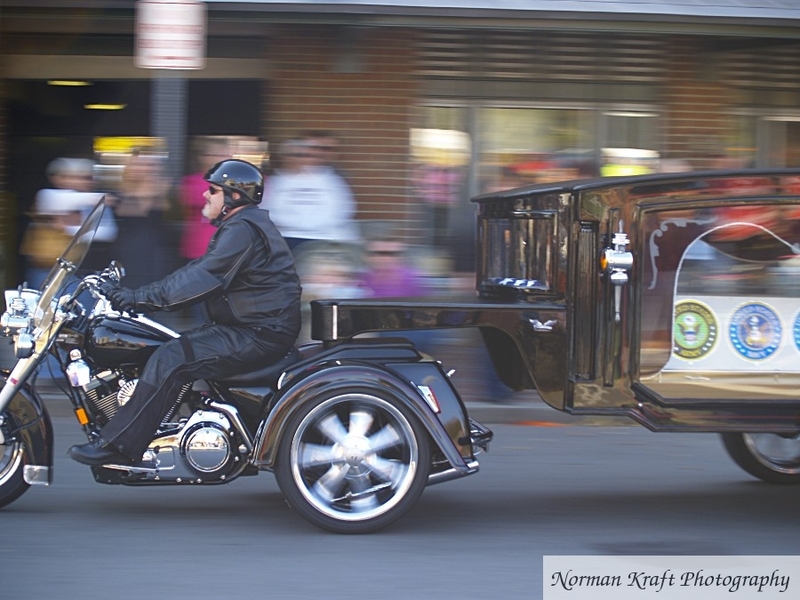 This biker pulled a hearse-trailer with the symbols of the armed forces inside as tribute to fallen US soldiers. 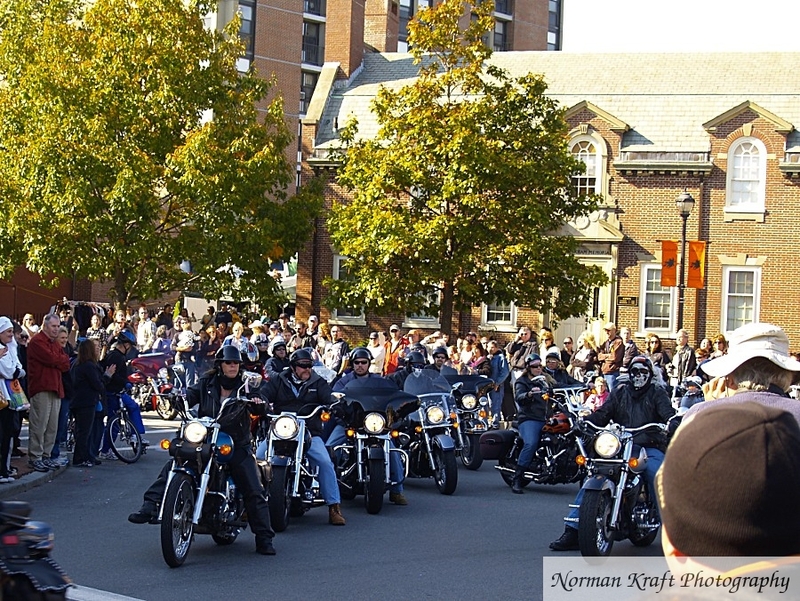 Annually, the Muscular Dystrophy Association and Boston Harley Davidson host a charity fund-raising ride on the North Shore of Massachusetts, ending in Salem. 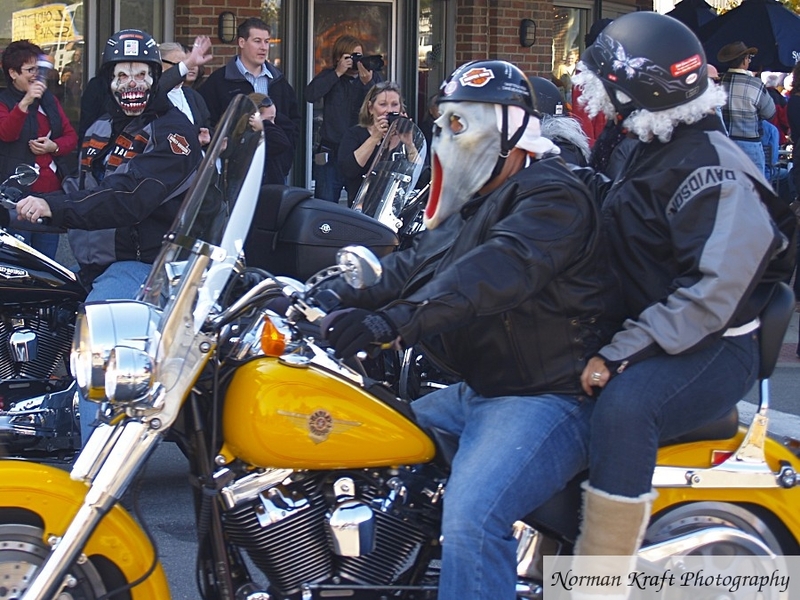 Riders gather donations and pledges, don costumes and decorate their bikes, all in the name of raising needed funds for those suffering with MD. 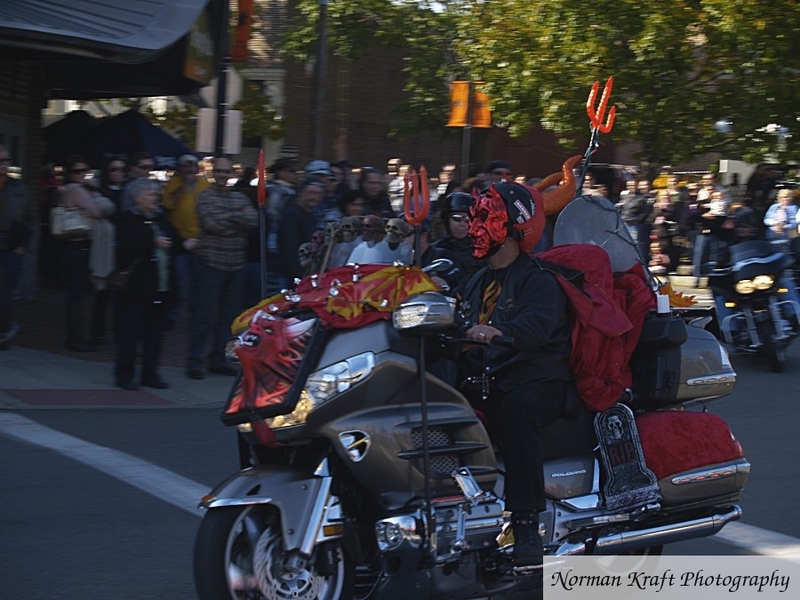 Thousands of riders participate each year. 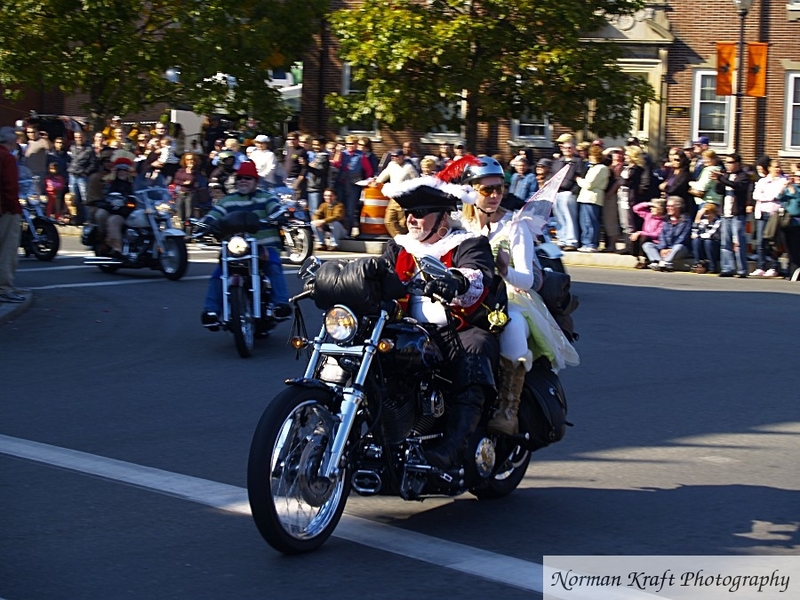 These photos are from the 2010 ride.